Robert Dawson is a master at capturing the spirit of one of his favorite subjects, the horse. 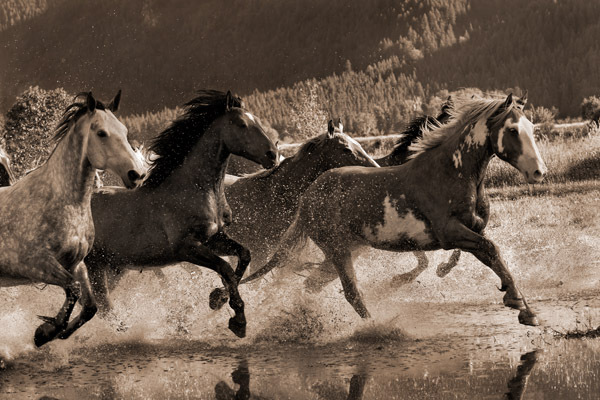 Nothing is more exciting than being witness to horses running in the wild. As their hooves thunder across the ground, it's as if these companions are racing toward the finish.